Move over, Donald Trump. To heck with you, hurricane victims in Puerto Rico. See if I care about Catalonia voting for independence. Here is some real news™ from Canada instead, about a branch of the Royal Bank of Canada, which has been closed since August because a family of raccoons decided to make the ceiling of the place their new home. 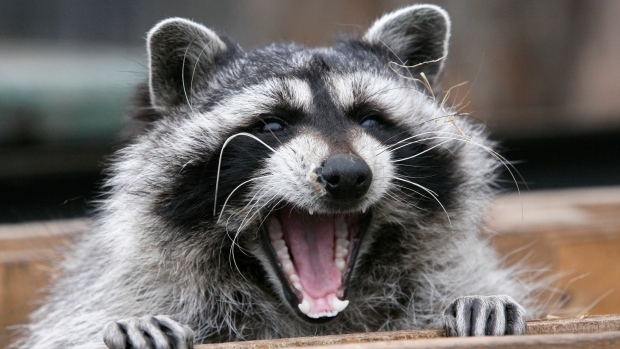 Toronto bank branch closed after raccoon family moves in, damages the place. The damage is extensive. The branch will reportedly stay closed until sometime in October. You have to admit though that these animals are cute. Even when they are doing their best and try to look ferocious and angry.